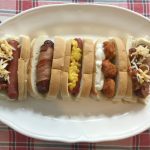 This is a sponsored conversation written by me on behalf of Schreiber Foods, Inc. The opinions and text are all mine. I have never in my life met a charcuterie board I didn’t enjoy. The word charcuterie is a French word for smoked, dry cured or cooked meat. While a foodie traditionalist might contend that a charcuterie board can only contain meat, in my circle of friends, a charcuterie board includes meat, cheese, something sweet, something savory plus crackers to pull it all together. In other words, it’s an epic board of cheese and meat. I could go on for days about boards my friends put together, they always feature new and unique combinations! My kids have grown up picking out the pieces of a charcuterie board they love and I recently started to take note… and it got my brain churning. 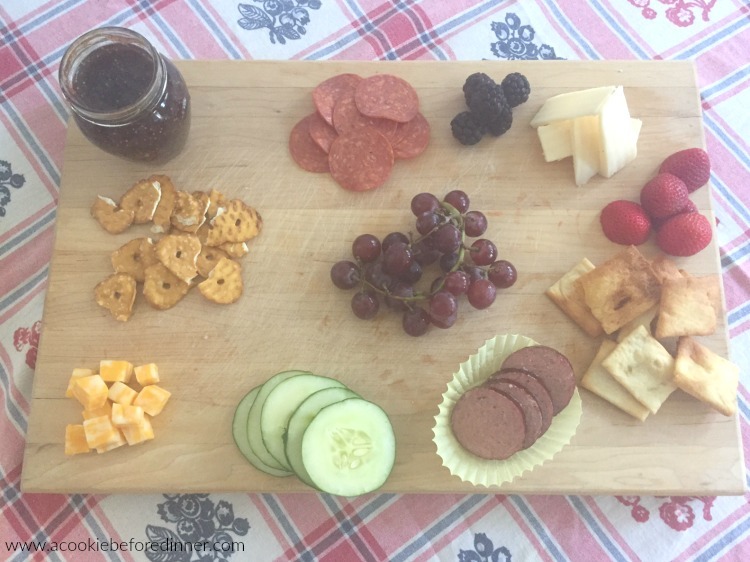 What if I could make my kids their own charcuterie board? And that’s when my kid-friendly charcuterie board idea was born. Spoiler alert… Lola (age 4), totally loved it (big brother wasn’t home and she was glad she didn’t have to share). 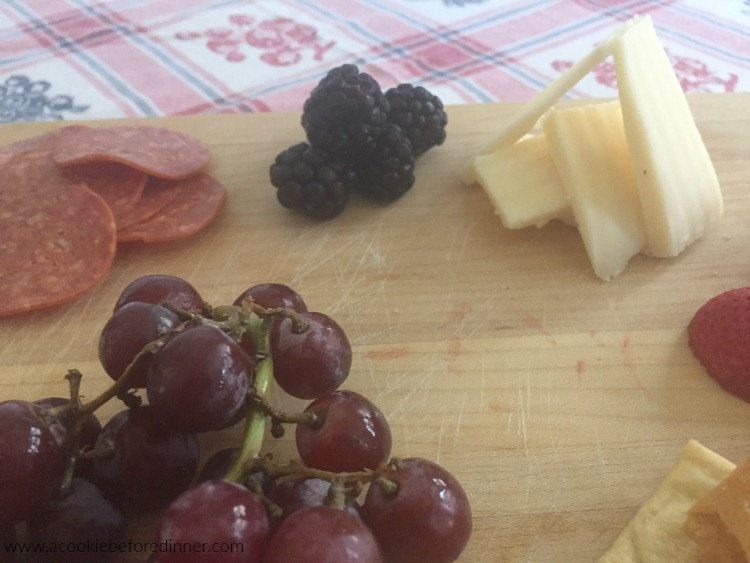 A charcuterie board for kids is a great afternoon snack, quick meal before or after school activities or a weekend lunch idea. Seriously, the possibilities are endless. 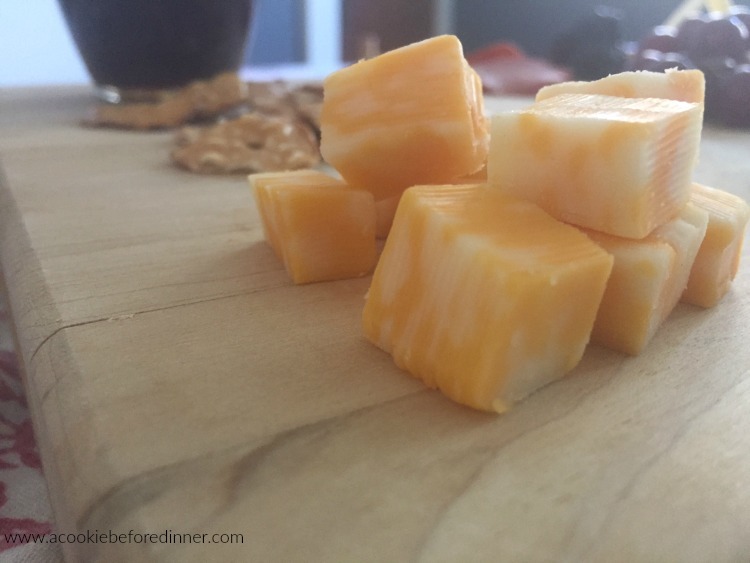 Cheese: Cheese is always the one of the center pieces to a great kid-friendly charcuterie board. For the one I made for Lola, I used both Heluva Good! 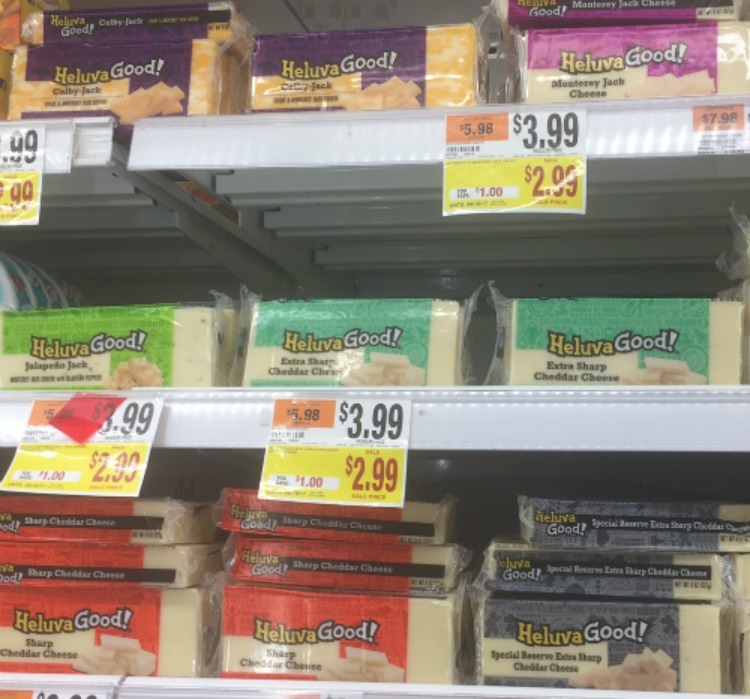 ® Colby Jack 8 oz and Heluva Good! Extra Sharp Cheddar Cheese. I cut the Colby Jack into cubes and I sliced the Extra Sharp Cheddar Cheese. Then, I stacked the Extra Sharp Cheddar Cheese into a fort shape because grownups can play with their food too. Something Sweet: Fruit is a great option for the “something sweet” category of a charcuterie board for kids. For my board, I offered strawberries, blackberries and grapes. However other great fruit that pair well with cheese are pear, apple, kiwi or blueberries. Dried fruit, like raisins, cranberries or apricots are also a fun choice. Meat: Meat is the actual charcuterie of a kid-friendly charcuterie board. 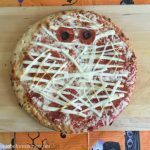 For our board, I picked pepperoni because my kids love pepperoni pizza and turkey summer sausage. Lola loves beef sticks and I thought this would be fun to try as an alternative. Crackers/Bread: Bread, crackers and pretzels are all things that kids will love to use to stack their meat and cheese on. Our board has pita chips and flat pretzels. Spread: A lot of boards include honey or jam to use with the cheese and crackers. On my kid-friendly board I offered fig jam. I didn’t think it would be a hit, but it was a great chance to expose Lola to a new food in a way that wasn’t overwhelming or a big production. A child can choose the things they’d like to eat off of the board, but as the adult, you get to choose what is put on the board. Anytime we can give our kids freedom to make choices on their own, they feel empowered and the power struggles are less. 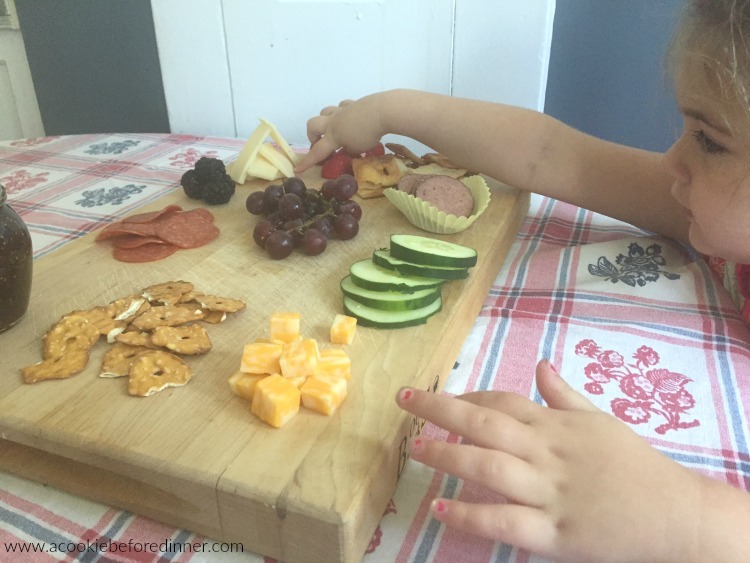 A charcuterie board for kids is a great way to introduce a new food to a child. You can put it next to some of their favorites and introduce it in a non-threatening and positive way. As a parent or grown up, you get to decide what to put on the board and have fun with it. 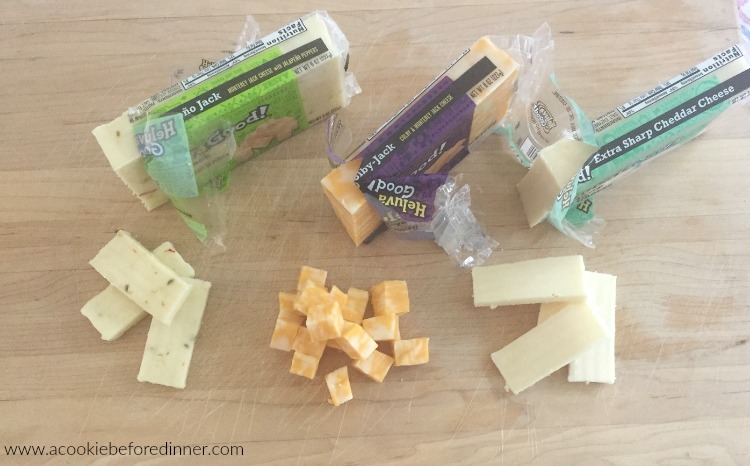 For the charcuterie board in this post, I decided to make a fort out of the Extra Sharp Cheddar slices. 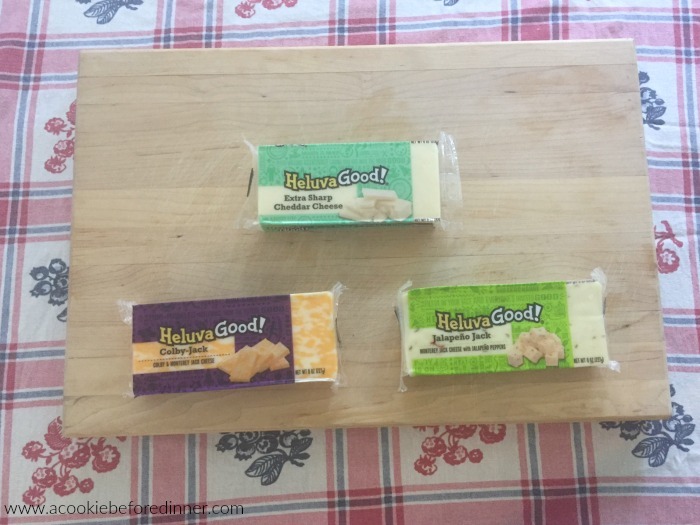 I purchased Heluva Good! Cheese at Big Y in the refrigerated block cheese section. They’ve always got great specials on products I love. 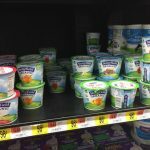 You can check them out at My Big Y.
I didn’t put any of the Heluva Good! Jalapeño Jack cheese on this board, but it is a mild cheese and if your child likes salsa, I think they’d love this one! 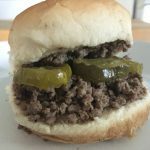 For the rest of the items I used on my charcuterie board for kids, I shopped around my house. Because each offering is small sized, it was easy to mix and match from what I already had at home. And as for the actual board? Well, that’s my everyday cutting board! 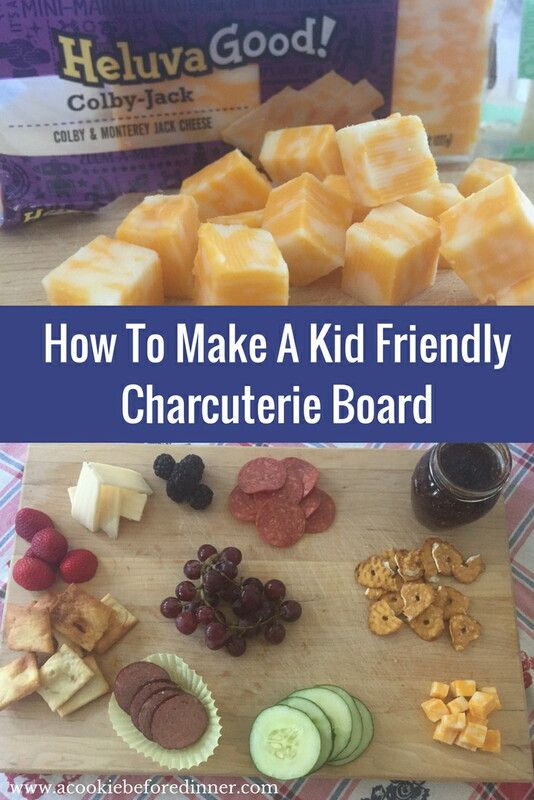 What would you put on your charcuterie board for kids? 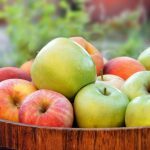 Learn more about Heluva Good! Cheese by visiting their website. And visit Big Y and their My Big Y to stay up to date on their latest product specials! 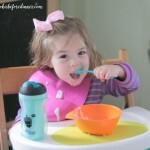 Our Favorite Yogurt Is Now #1 Pediatrician Recommended!